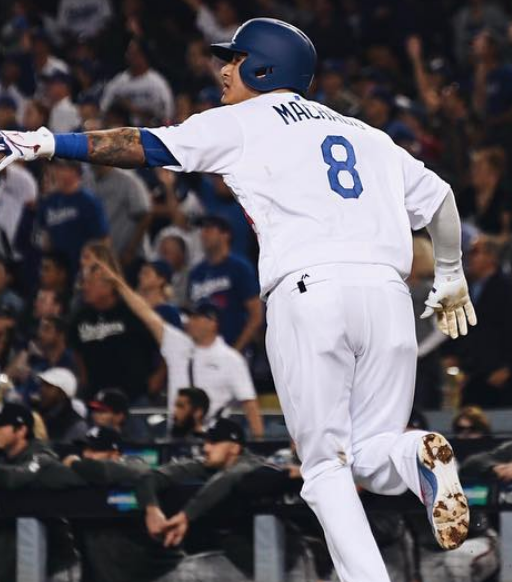 Los Angeles Dodgers third baseman Manny Machado. LOS ANGELES—The Los Angeles Dodgers moved one step closer to the second round of the MLB National League Division with a 3-0 win on Friday, October 5 against the Atlanta Braves. They only scored half the runs as in Game 1, but it was enough for the win. Dodgers pitcher Clayton Kershaw pitched a shutout, similar to pitcher Hyun-Jin Ryu, the game before. It was a much-needed shutout, as the Dodgers only scored 3 points themselves. One of the Dodgers’ home runs came in the bottom of the first. Third baseman Manny Machado hit a home run to the left. The trade for Machado continues to pay dividends for the Los Angeles Dodgers. Outfielder Joc Pederson also scored on Machado’s home run, so the Dodgers had a 2-0 lead. The Dodgers added to their lead during the fifth inning. Yasmani Grandal hit a one-run homer to the right. The Braves could not get many hits in, and fell into an 0-2 hole as a result, and will need a win in Game 3 to keep their hopes alive in the series.